Back in September and October, we created a couple recipes for the theatrical release of Blair Witch. After 4 long months (it seemed long to us anyway), Blair Witch is now available on Blu-Ray and DVD! To celebrate the home release, we wanted to re-share our Blair Witch inspired recipes. As you recall, we are huge found footage fans. The release of the new Blair Witch not only was a found footage horror flick, but it also marked the return of one of our favorite horror franchises. We loved every bit of the third installment of the series and can’t wait to rewatch it. Enough about the movie, let’s get to the food! 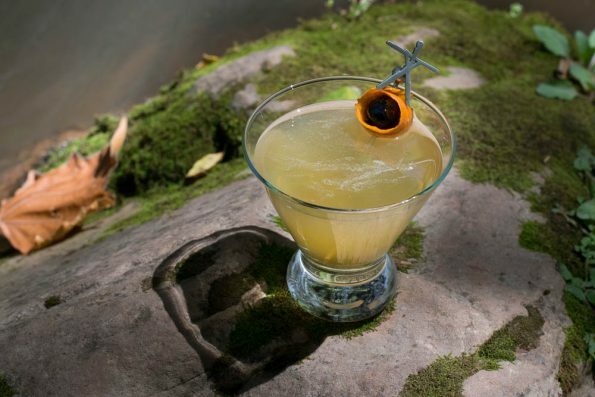 The Black Eyed Stickman– A riff on the Preakness (the Maryland equivalent to the Kentucky Derby) cocktail the Black Eyed Susan. This recipe led us to Payson in order to shoot photos and a video! 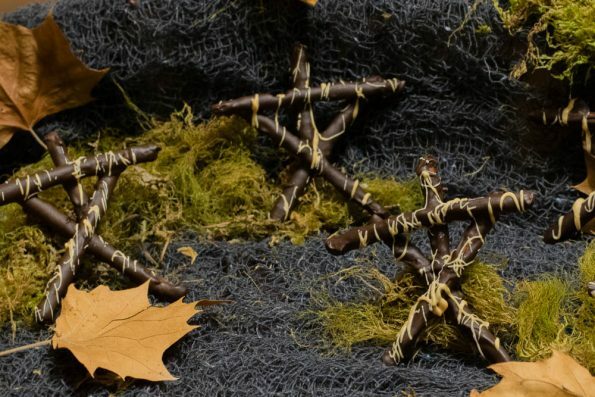 Witch Sticks– These chocolate and peanut butter covered pretzels are the perfect combo of salty and sweet and were inspired by the iconic Stickman figure from the movies. We think this pairing is the perfect way to celebrate the home release of Blair Witch! How will you be celebrating? Utz maybe? How about marshmallows? If you understand those references, you are a true fan! Remember, don’t go into the woods alone! *The Geeks attended a sneak preview of The Blair Witch during its theatrical release and received promotional material in order to research theming for the cocktail mentioned in this blog but received no other compensation to facilitate this write-up; opinions are wholly our own. View our Disclosure Policy for more info.